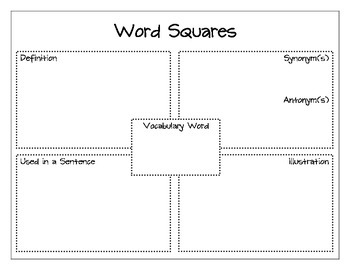 This graphic organizer can be used to practice vocabulary for the Wonders reading series by McGraw-Hill. It can also be used for any other vocabulary words or reading series. If you like this, please leave feedback!